Building a mobile app is not enough! 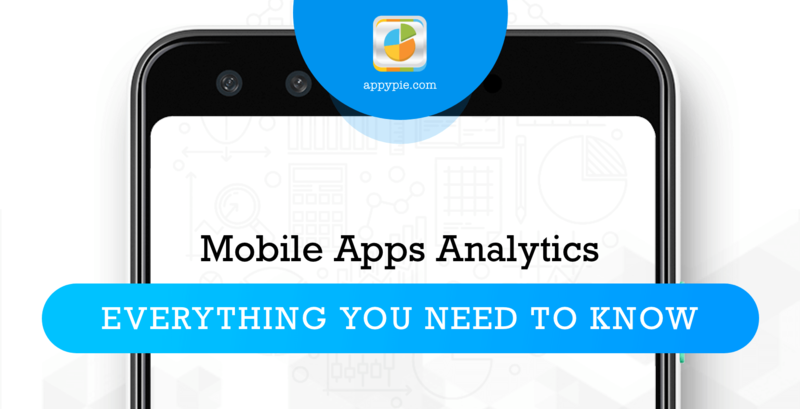 Here’s THE most comprehensive guide to Mobile App Analytics online. This is an expert-written guide where you will learn everything you need to know about mobile app analytics, right from the planning, setting up, implementation, and drawing meaning from the analytics before bringing about rightful changes for the best results. So, if you are looking for a holistic guidance on setting up and using mobile app analytics the right way, this is just perfect for you! App analytics or mobile app analytics play a critical role in our efforts to understand how well your mobile application is working and what are the areas that you can work to improve upon. Whether you have an iOS app or Android app, there are thousands of data points available that can be examined to determine the areas that need to be changed, areas that need some maintenance or improvement, and what are the areas that are working well. How many users, in total, have downloaded the app? How many of these users are currently active? How do these active users or new ones interact and engage with the app? Which features are used the most and which ones are ignored by the users? Which channel generates the maximum number of users and the most valuable ones? Why do we need Mobile App Analytics? Once the app is built and launched in the app stores, the first time app makers or owners expect the app to run smoothly and think that the users are all going to fall in love with it immediately. This expectation is never met…no exceptions…never! Employing mobile analytics efficiently gives unique insights without which you and your company would essentially be walking in the dark. These insights or analytics can then be used to devise an action plan for improving the product or the mobile app in this case. This improvement could be anything from adding a feature, improving an existing feature, removing a feature, or change the flow of the app for that matter. Also, with these analytics right in front of you, a clear picture would emerge, indicating whether or not you are any closer to achieving your goals or the BIG picture. Once you have this clarity, you can then take an informed decision about making required changes in the strategy and in the app to get closer to the goals you set out with. The first thing here is to first have clear goals that you want to achieve with your mobile app. However, I can’t tell you what your goals ought to be! It is you, and only you who can define your mobile app goals and there is no – “one size fits all” answer to this. Different apps would always have different goals. You can only achieve your mobile app goals if you know precisely what they are! As an example, if you have a mobile game, you are bound to focus on expanding the user base and try and boost the in-app purchases. However, when it comes to retail apps an apt goal would be to increase the store traffic and strengthen brand awareness. You get the idea…right? How do I track mobile app usage? Here too there is an ambiguity…well not ambiguity…but a non-uniformity of sorts where the term app usage would be defined differently by different businesses. For an ecommerce app, the app usage would be defined by the amount of sale or money spent, whereas for a content or gaming app the app usage may be all about the time that the user is spending within the app. After you determine the definition of usage or app usage, you must then create reports to track it. Mobile attribution is the process of connecting the events with the ads or marketing campaigns that you are running on your app. This way when a user purchases or signs up through the ad or campaign, it receives credit for it. Once you have this data in front of you, you can compare the campaigns and figure out which ones work the best for you. 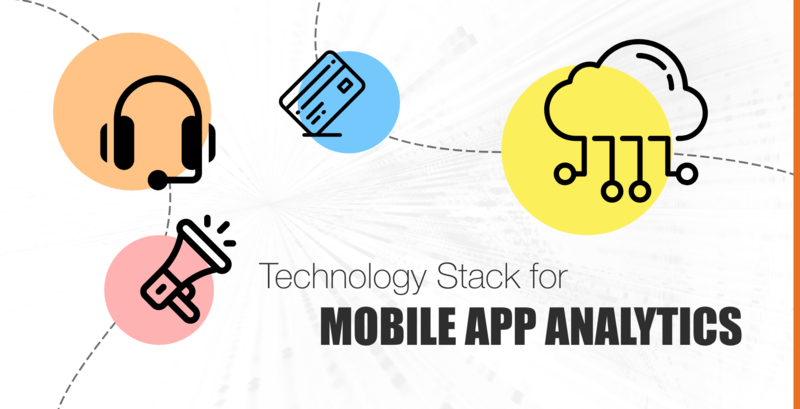 For mobile analytics to work the right way, it must be supported with a technology stack of tools for providing the latest data. CRM or Customer Relationship Management or sales platform lets you manage the inquiry across channels without losing track while giving the different departments like sales, marketing, and support teams a single holistic view of the same. DMP is a technology platform that can be used to collect and manage data, primarily for digital marketing. A customer support platform helps businesses manage organizations and tracking of customer queries and concerns. CMSes can be used to capture, research, and analyze information like customer behavior, buying preferences, and demographics. Marketing automation platforms are designed specifically to automate repetitive tasks in order to increase the effectivity and ease of marketing on multiple channels. These platforms are spaces where you may run ad campaigns to promote or advertise your product aka your mobile app. Building a product or an app is not enough. It would have to be tested extensively before it can be launched in the marketplace or an app store. 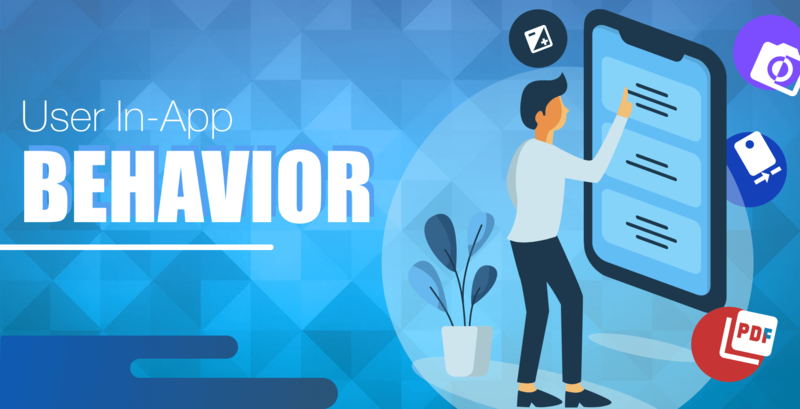 Now that you are aware of the basics of mobile app analytics, it is time you also explored the different tools that you can use to get your mobile app analytics just right! Available for free, Apple App Analytics is designed specifically for the iOS platform. Apple App Analytics gives you three sets of data – App Store Data, Usage Data, and Sales Data. Using this platform, you can optimize your marketing campaigns while focusing on the apps that drive the maximum App Store impressions, downloads, and billings. The platform tracks the basic metrics for user engagement and marketing for iOS, tvOS, and macOS apps. Also, it provides data on user acquisition from the App Store and a crash analytics tool that filters crashes by iOS and app versions. The tool serves both, app developers and marketers for mobile app tracking and attribution analytics. Their client kitty includes some huge names including the international cosmetics and beauty brand L’Oréal and the Wall Street Journal. Partnering with Google and Twitter, the platform has placed itself as a one-stop-shop for marketing analytics equipped with an active fraud solution. It serves multiple platforms including iOS, Android, Windows & Xbox, Amazon, tvOS, Unity, Cordova, Marmalade, Cocos2ds, Adobe Air, and React Native. A pioneer among repositories of news and statistics of the mobile world, App Annie is an app analytics and market data platform to help the developers build a better app business. The magnitude of the tool is indicated by the fact that Apple Inc. quotes them quite frequently during WWDC! The tool supports platforms like iOS, Android, TvOS, macOS, Windows, and Amazon. Tune is an analytics platform focused on marketing but also includes app-store analytics in their console and comes with a free trial period. Additionally, Tune also offers supply-side tools for ad networks, real-time tracking, and 3rd party ad management, however you cannot collect data from Facebook here. Built on Google infrastructure, this one is less a tool, and more like a suite of products which can either be used individually or in combination for pacing up or enhancing the process of app development, user experience, and the overall growth. Their iOS app analytics can track users right from the acquisition phase and in-app usage across platforms. Using machine learning, Firebase offers smart user segmentation and predictive analytics. Additionally, it can also be used in combination with Crashlytics to monitor performance issues. This one’s a unique tool as it can help you answer all the user behavior related questions you may have before increasing the conversion rates upon analysis of each user interaction. One of the strongest features of this tool is the action cohort tool that can help you understand how users are interacting with the app and what is it that brings them back. Amplitude is especially great because it can identify different personas that are likely to convert or become loyal users. The tool also sends smart alerts using machine learning and helps the app teams get ahead of any fluctuations in conversion and retention. For developers Keen IO – a cloud-based analytics database, is a great alternative to an in-house analytics database. Keen streams real time data on any user interaction in real time and then stores it in a database that is optimized for storing event data. Once the data is collected, Keen’s APIs can be used to run analysis. Mobile app professionals can use the tool with simple queries to get a view of custom dashboards with funnels, segmentation, cohort analysis, and more. The biggest and the best name in the industry for crash solutions – Crashlytics is available for free and works perfectly for both, iOS & Android. The people at Crashlytics actually take pride in their ability of coming up with highly detailed crash reports that take into consideration a number of factors including the type of device, battery status, charge in progress, proximity sensor, Wi-Fi connection, and the physical orientation of the device itself. Holistically speaking, Crashlytics is one of the rarest of tools that has the ability to examine your crashes before generating reports that highlight any vital issues and trends. What really makes Crashlytics unique is that the tool would send you an alert or a friendly nudge if any crash goes unresolved for a certain (read long) time period. Another strong tool for getting precise information on app crashes right from the manufacturer to the type of connection, to the version of the app – AppLink.io is quite a smart option for app owners or developers. Once you are aware of these distinctions, you get the ability to drive deeper into key metrics including the number of users who have been impacted and the rate of crashes. This unique tool is compatible with iOS and Android apps with a really easy to use dashboard that helps you understand how your app is performing across parameters. This one is a full-fledged app analytics company that offers their clients or the app developers with an entire selection of tools needed for app store analytics and intelligence. The platform lets you set up and measure a bunch of benchmarks including DAU, MAU, ARPDAU, retention rates, downloads, store revenue, tool chart ranks, and keyword ranks. A popular name in the world of qualitative app analytics, Appsee has quite a robust platform that goes beyond mere numerical metrics and offers quite effective and unique tools for product managers, UX/UI designers, developers, and mobile marketers. With the helps of session recordings and touch heatmaps Appsee helps you bring together an image of the way users experience every screen and feature within the app. Apart from this, there are features like conversion funnels, crash reports, navigation paths, and UI analyses that make the platform further useful. In this manner, you get deep actionable insights on multiple parameters like user behavior, in-app navigation, app usability, and more. Kumulos is a mobile app performance management platform with a wide services portfolio featuring Push Notifications, Crash Reporting & Analytics, Reporting & Analytics, MBaas, among others. The platform has three solutions to offer to the app developers or brands who sign up with them – Unified Mobile App Performance Management, Mobile Marketing Automation Platform, Mobile App Business Grow tool. You didn’t think we could have a list and not include Google Analytics for mobile apps in it! The internet and technology giant, Google Analytics offers some really insightful in-app analytics not just for its own platform, but for iOS platform as well and is just as popular there too! Apart from the two big platforms, GA also offers solutions for other platforms. 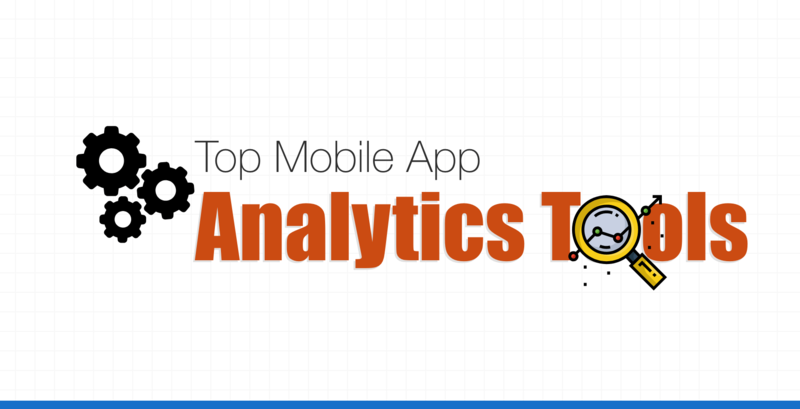 This one is not just another app analytics platform! It focuses on improving the ROI of app developers through proactive handling of collected app data and coming up with valuable suggestions for improving the performance of an app. Aiden.ai is known for offering actionable insights that point to those specific ad campaigns that require the app developer’s immediate attention while letting them optimize their apps with One-Click only enabling them to react quickly and efficiently. A brilliant app analytics tool, AppOnBoard offers to the Android app developers a platform to run an app demo before it is released on the Google Play Store. The platform is unique in its ability to allow their clients to take advantage of the Google Play Instant experience through their iconic Try Now feature. A one of its kind reporting and analytics platform, Appsumer is perfect for user acquisition teams for scaling apps. The platform has a unique ability for transforming all the fragmented data related to media cost and attribution into granular and perfectly unified ROI insights. Once you have this, you can then make faster, better informed, and more confident UA decisions. Localytics is a unique combination of marketing automation platform and mobile analytics which can together increase engagement and help you make well-informed decisions for improving features. The tool or platform analyzes complete user journeys and even lets you track the app uninstalls. The dashboards of the platform can be customized in a way that everyone on the mobile app team gets at-a-glance insights and detailed overviews of only that data which is most relevant to them, instead of a one size fits all view. The industry benchmarking feature on the platform lets you compare your mobile app to competitors or any other brands in the industry. 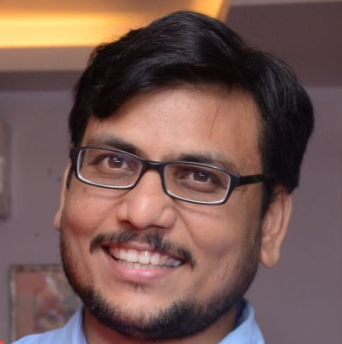 Apsalar identifies itself as an enterprise mobile app analytics company and has an analytics platform on offer that has Marketing Attribution, Remarketing Audience, and CRM & Prospecting audience tools. The tool only works for iOS and Android, but has some really unique features like LTV measuring, marketing automation, and even cross-app funnel analysis. Countly has a customizable dashboard that uses plugins chosen by the users for tracking user behavior analytics, crashes, retention, and even revenue. On the platform through funnels, user flows, and cohort analytics you can see how users navigate through your app, and which are the points where they drop off. The Drill tool on the platform helps you answer critical questions by digging deep into the data with a built in query builder which is user-friendly and has no need for a complex SQL. Also, you can follow the navigation paths of specific users within the app. With Mixpanel you can take well-informed decisions on data as you receive automatic insights powered by machine learning. The platform has some really unique tools like user flows and conversion funnels which can help you understand the user behavior and increase engagement, retention, and loyalty. The Predict feature on the platform offers you predictions on user behavior and conversions in the future. Mixpanel goes well beyond just analytics and comes equipped with some really effective tools for re-engagement through email, push notifications, and in-app messaging, and for running A/B tests within the platform. This one, as the name suggests is a game-focused analytics tool which is available for free. The platform lets you track different metrics like game progression and level advancement, and also a customizable GUI. It is a great analytics platform that comes with customizable metrics and events for tracking. It also offers consultation and ad optimization services. The dashboards are customizable and so are the KPIs. You can conduct A/B testing with this platform and has marketing automation capabilities. This is a great platform if you are looking for a tool that lets you track user behavior and purchases, carry out A/B testing, send out push notifications, and launch in-app marketing campaigns. They not just boast, but guarantee a 99.98% uptime to their platform without having to implement an SDK. Kochava lays a strong emphasis on user data privacy and related issues. The platform offers a balanced combination of analytics and attribution features supplemented by iBeacons support, a server-to-server API and IdentyLink technology. Their name is remembered for the efforts of their ad fraud prevention team which, in 2018 brought to light a global ad fraud scam. This unique tool AppDynamics focuses specifically on enterprise growth and on app stats analysis. The tool’s USP lies in its six “intelligent engines” to track metrics beyond the ordinary. Targeted to cater to the larger apps and companies, AppDynamics is in fact quite easy to deploy and is a self-configuring platform that offers app behavioral learning. A code free app analytics platform, HeapAnalytics offers both, real-time and historical data. apart from that, the platform also includes pretty strong automation features to track and chart metrics. If you feel that the non-native Android support doesn’t meet your expectations, their enterprise plan includes direct data export if you want to pair the stats up with any other tool you have been using. MoEngage is an effective user analytics and engagement platform for mobile apps. The platform focuses primarily on geo-targeted push notifications and in-app messages. With MoEngage you can track uninstalls for iOS. The platform is unique in its ability to integrate with MobileAppTracking, Appsflyer, and Apsalar for users’ convenience. This one is a nice combination of mobile A/B testing, push notification, and app analytics platform that comes with a free demo period. BigQuery feature on the platform provides you access to all kinds of raw data including that from experiments, events, or push notifications for setting up custom metrics. The platform integrates smoothly with other tools on the list like Mixpanel and Google Analytics. What sets this app analytics platform apart is that it is written for TV based operating systems? A unique and popular mobile engagement platform that comes with app analytics, mobile marketing automation tools, solutions for mobile user retention, personalization and more. There are multiple channels on the platform that can help the app marketers reach out to their customers like push notifications, emails, in-app messaging, and web push notifications. Singular is a combination of end-to-end marketing and analytics platform that is designed to maximize the ROI with, as it claims ‘1600+ preconfigured marketing solutions.’ These preconfigured solutions are essentially combinations and algorithms using different data silos to gain valuable insights. This is a tool that combines attribution and analytics in one software package. Using this tool, the app marketers can look into the store statistics, advertising sources, and advanced analytics before they exploit the full potential of mobile app. They have quite an esteemed clientele including Yelp, Zynga, Spotify, Soundcloud, Runtastic, Hotel Tonight among others. Though the brand Apptentive is more closely associated with brand building and offering a strong user experience, but it would be wise to note that it holds expertise in the realm of data as well. This is a software package combining mobile app marketing automation and analytics. Braze focuses primarily on campaign management and business promotion. Even if your only goal is to just survive, you would still need to keep getting new customers and adding on to your customer base. And, if you are like everyone else I know, and want to grow with your app, then you must proactively strategize to expand your customer base. While you are planning to acquire more users, the most important thing to know is the current source of users for your app. This would require you track downloads and then attribute them to corresponding channels or sources. For example, let us assume that on investing $1000 on Google AdWords you are getting 25 downloads in 3 weeks. However, you discover that when you invest the same $1000 on Google Play Store you are getting 10 times that number in only 3 days. So, if you are keeping a track of the daily download numbers and the attribution, you would know where to divert your marketing budgets to and reach the massive download goals you might have set for your app. Of course, there was a time when it was the number of downloads that would decide the fate of the app. Today the scenario is a lot different as several other parameters have emerged that are stronger indicators of the health or performance of an app. The quality of each download has gained a lot more importance today, in terms of what it brings to the company particularly. If you were to have a pay-per-download mobile app, then the more downloads you get the more revenue you get. This does not mean that you should disregard all the free apps that are out there in the market. In fact, it is important that you conduct a competitive analysis to understand if you are really profiting from asking for that download money. The basic idea here is to be a little more strategic while pushing for more downloads, keep an eye on whether the users are actually opening your app after having downloaded it. These are great indicators about the popularity of your app among the app users. Web Visitors to Mobile Users – Remind your website visitors that they can use your app or that you have an app by flashing a “Download the App” button. You can also incentivize the first in-app purchase in form of points or app-only discounts. Referral Program – Even as you are making changes to your app with the intent to make your app better, you must make sure that the word about your app and your product spreads everywhere on the digital realm. For this to happen, you must in some way or the other urge the users to refer your app to their friends and family and one of the most effective ways to do this is through email or social media. Tracking the impact of the in-app referrals is super important that can only be done when you integrate a referral code to the message. A high number of referral codes being redeemed indicates that the users have great confidence in your app. 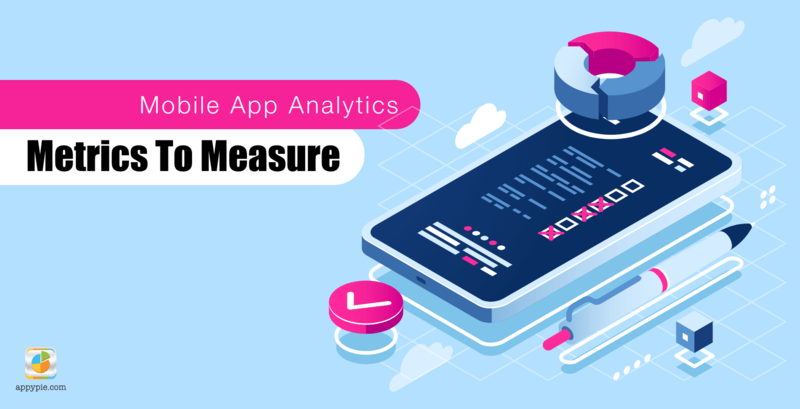 This parameter by itself can form the foundation for you and give you many more such metrics which can help you further analyze the performance of your app. An incentive that works pretty well is a certain discount in exchange for your referral code being redeemed and to the first-time users. Multiple studies conducted by reputed research organizations have indicated that consumers tend to place a lot more trust in their friends as opposed to even the biggest of brands. So, your current users are a great channel for you to acquire new users. Incentivize current users to recommend your app and see your user base expand exponentially while strengthening your social proof. Two shining examples of referral campaigns that worked beautifully are Uber and Dropbox. Effective App Store Optimization – When you feature higher on app store searches you stand a better chance of getting featured while enjoying a higher visibility on the app stores, thus enjoying a better download rate. This section can be a blog post by itself, in fact sometime ago, we did write a pretty detailed piece on app store optimization. Some of the points that can be kept in mind include – adding the search keywords to main title, showcasing the main features and USPs in the app description, adding attractive screenshots of the UI and mentioning the version and date of the last update. A user activation rate of 85% or above says that you are in a good shape, but anything lower than that indicates a need for a deeper dig and analysis to identify and fix activation issues. Things you should avoid like the plague! Misspelt Words – with data vulnerability and malware attacks doing the rounds, it is only natural that the app users would see a red flag when they see a spelling error. The authenticity of your app comes into question when you have spelling or grammatical errors. Compulsory & Lengthy Registration – let the users have some fun exploring the app before creating an account. If you simply can’t avoid it, let it be a pretty basic registration process with maximum 3 fields to fill without asking for too much of a commitment. This means if your app was downloaded 200 times and enjoyed 120 activations, your activation rate would be 60% which is pretty decent but can definitely be worked upon. Incentivize – give your app users a little something in exchange of signing on to your app. This raises a curiosity and who doesn’t love an incentive just to sign into an app. In-App Exclusives – plan a little something exclusively for the app users. It could be an early access, special content, or some coupons that can only be redeemed through in-app payments. If you manage to improve your retention rates just by 5%, your profitability can go up by 25%! How about that for statistics! Keeping the users engaged is instrumental to your retention efforts – but yet again a tough feat to accomplish. With rapidly reducing attention spans and ample amount of choices for the app users. On an average an app loses more than 77% of its daily active users in 3 days since its install. What is it, then that you can do to keep the users coming back to your app! Tracking retention cohorts and getting actionable user data is an effective way to do it. What I mean here is that you would be breaking the entire user data into cohorts and track their behavior over a period of time instead of simply dumping everything into one big pot. Doing this would get you valuable insights in the onboarding flows, user experience, and product/market fit. User Lifetime Value or LTV is the money earned from having lifetime users on the app. This evaluation is done in different phases or timelines like daily/weekly/monthly/yearly etc. Having access to these metrics can help a company look into and analyze any potential revenue sources. To get these numbers, you would have to look at the user engagement rate, monetization, virality, number of shares and other such numbers. If you are surprised to see ‘virality’ here, let me tell you that it is not just for the YouTube videos to go viral today! It helps you, as an app owner when your product and all the news about it is spread far and wide. The simplest way to get this done is by motivating and encouraging your app users to share the app and your product with their friends through multiple channels including social media. This, of course will only happen if your initial or first-time users enjoy your app and are amused by it, enough to go ahead and share it through their network. User Lifetime Value or Customer Lifetime Value is essentially the net monetary value associated with the customer till date. Once you have this number, you can create tiered loyalty programs which would help you retain the customers who bring you the most value. The app would only stay profitable when the LTV exceeds the Cost Per Acquisition or CPA. This is by far the most basic and critical metrics in the world of app analytics. 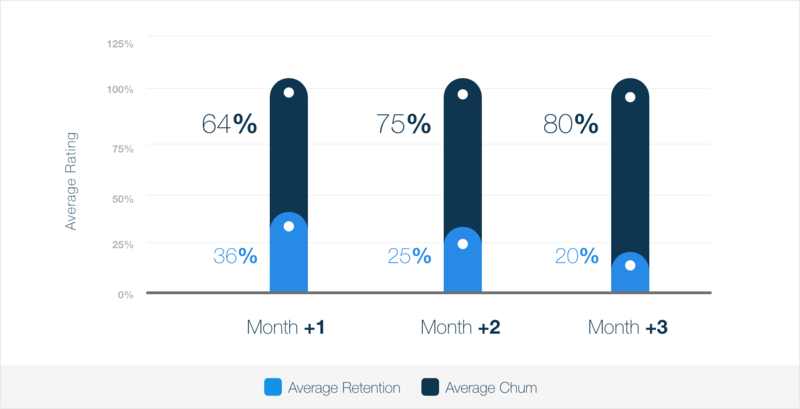 The retention rate for an app is basically the percentage of users who come back to your app after the first time they use it. The higher the number of times the app users are coming back to your app, better is the performance for your app and the better your app performs more would be the number of times your users would come back to you. The first-time user on your app is simply curious to find out how your app works. If they are hooked in this first go, they’re going to come back, if not they’re never coming back! Hence, you must strive hard and keep an eye on these numbers with the aim of converting more first-time visitors into loyal, lifetime users. Additionally, it is of critical importance to keep an eye on the number of app uninstalls and make sure that you are enhancing your app performance in a way that would control this number. As an app owner or developer, when you have these metrics ahead of you, you get an opportunity to make some changes to the app interface, usability, and functions of the application thus enhancing the overall app performance. Ask for In-App Feedback – User feedback plays a super important role in the smooth integration of mobile apps in the functioning of a company. This is why an in-app feedback is important when it comes to evaluating the performance of an app. The time investment needed from the users’ end is minimal here as it only takes a few minutes to offer valuable in-app feedback. Getting this feedback can help you identify specific issues which need to be worked on. There would of course be some users who are not going to like giving you an in-app feedback. Hence, it is important that you come up with creative ways to incorporate it into the app. Attaching some branded merchandise or rewards in exchange for their feedback works quite effectively. Just because you are offering rewards to your customers, it does not really mean that you are bribing them for an appreciative or positive feedback. You must proactively encourage them to leave an honest feedback which would bring great value along. Offer Loyalty Perks – Give your app users a reason (or 5) to keep coming back to your app. This may be in the form of reward points, special (app-only) discounts, and exclusive access to content. This is an encouragement to the app users, and you are definitely going to see the number of your loyal app users increase by quite a margin. Keep Adding Something New– Why would users keep coming back to your app if you have nothing new to offer! It is only natural for the app users to get bored and stop seeing any value in the app if there is no change in your app. Keep adding features, keep tweaking the UI, make the UX better, and better yet keep adding and updating the content on your app. Trust me I have seen it work wonders myself. It has been established through multiple studies that there is a strong link between user engagement and growth in revenue. What I mean to say here is that the more engaged users you have, more would be the amount of revenue you receive! It is unfortunate, however, to know that about 50% of the apps that are downloaded are used only 10 times before being abandoned. Now, different apps need the user to engage with the app at different frequencies. A Friendly Push – Push Notifications are proven to bring about a massive change in the way a business may connect with the customers. You can use them in pretty neat ways to achieve the goals you want to achieve. One of the critical goals that push notifications can help you with, includes recovering abandoned shopping carts. Retrace Steps – Retracing your steps can be a great way to examine the cohorts that have an alarmingly low retention rates. If you retrace the data, you can find out the exact point where you are losing the app users and what was it that helped you win them over initially. Sometimes all it takes is a lucrative discount coupon, a new feature, or a bug fix to get you sailing on the right path. It is important to study your data with the appropriate tools so that you know where exactly the app users are engaging the most with your app, and exactly where you are losing them. This means if you sent a push notification with a discount coupon code to 1,000 app users and 50 of these people used the coupon code, your conversion rate would be 5%. When you track the conversion rates, you would have a clearer idea about the exact strategies or messages that are helping you boost up your sales numbers. After establishing a decent base line, you can then conduct A/B tests and come up with messaging that works for your app users specifically. Here, you would need to take a beat and figure out which conversion types carry the most importance in context of your app and for your business. Is it the number or amount of in-app purchases, or the number of subscriptions or is it the number of ad impressions? Have this clarity before you set out to strategize on increasing your conversion rate. What would they do? – An effective way to get ahead is to try and think like your user. For this, you need to deeply dig into the user persona and to use your app the way they would. Launch your app and become the first-time user. What is annoying about the app? What is it that is slowing you down? How can you make the progress through the funnel smoother than now? Remove any unnecessary buttons or links, make the registration process simple, and streamline your UI. Unexpected Drop Off Alert – It is common for app users to drop out of the checkout process right when they are asked for their payment information or credit card details. However, if there is an unexpected dropout at a mundane or uneventful stop in the user journey, consider it a red flag. This is the time to spring into action and figure out if there is a UI issue or some kind of a bug that is creating an unintended roadblock for the app users, discouraging them from moving on ahead. Even the apps that are at the top of the charts and bringing in all kinds of massive revenues for the app owners do not have a 100% retention rate. It is a fact that for most of the apps, 80% of the new users are lost within the first 90 days. It is imperative for every app owner to keep a track of all the uninstalls. As a thumb rule, if you compare the number of daily uninstalls with the number of daily downloads and the number of daily activations, you’d get your net mobile app growth. This means if 15 users are uninstalling your app on a daily basis, and you are getting 45 new activations daily, you are still getting an increase of 30 users per day! That’s great! If, however these numbers were to be reversed, you are in trouble. It is interesting to note that mobile app users put quality and start ratings ahead of the price of the mobile app. Retarget – The users who have churned out need not be lost forever. Create some interesting retargeting campaigns on social media, emails or anything else that works. With the help of discounts or feature updates, a well-planned retargeting campaign can help you bring them back to your app. Conduct Surveys – It is natural to think that the app you built is perfect, hence you might develop some blind spots. Users are going to leave the app if there are performance issues in the app or fails to meet their expectations. Offer Discounts – As per a recent report from Google, 30% of the surveyed audience confessed that they would go back to using an app if they were offered a discount that interested them. Also, about 25% of the app users said they would go back to the app if they were offered some exclusive or bonus content. You probably made the mobile app with the intent of making some money whether directly or indirectly. 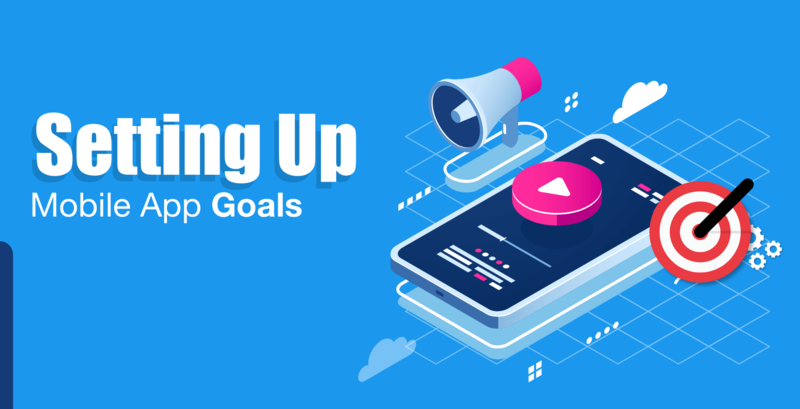 However, when we are setting goals for app analytics, they are not just about the money making but about the overall success of the app and boosting up the performance of the app. This is almost a no-brainer. I say almost for a good reason because I have come across quite a few app owners who fail to monitor the performance of the app once they have launched it in the app store. The job of an app owner is far from over after the app is developed, tested, and launched. The real test begins after the launch and it is important to monitor the performance of your app and the product in the real world. Since you have decided to invest some time and money in app analytics, it is important that you pay enough attention to what the users are saying about your app. The best way to do this is by taking a look at the app ratings and reviews. Most of the users tend to go through the review section before they decide to download your app. As a rule, it is important that you encourage your app users to leave a review after exploring the app, but that’s not all that you need to do. You must be efficient in responding to the reviews you receive as well. If the reviews are critical, then you must address the concern and respond accordingly and if the review is appreciative thank them for it. The focus of this metrics is primarily on the revenue or income generated by the app. To begin understanding this, it is important that I tell you here about Average Order Value per app user and Average Order Value per paying app user or customer. Your app, like everyone else’s, has two kinds of users. The kind who visit or explore your app for free and the second kind who are paying to use your app. It is important to keep an eye on these numbers and make sure that the majority of the app users are converted to pay for your app. Now, let me warn you, this is a lot easier said than done! You would have to strategically work out a plan that would convince and encourage your app users to pay to use your app. The freemium model or the free trial model seems to work pretty well for audio/video streaming apps or gaming apps. Figure out what works the best for your business model and the products or services you are offering and implement your own strategy. There are a number of things that make up this section. Let’s get to it directly. There would always be a certain diversity among the kind of users who would be using your app. The users would be from different age groups, a variety of income groups, have different interests, and be from different genders. This is why personalization within the app is of great importance. Monitoring these features and making logical decisions would attract a greater audience to the app. When you know the time spent by the users within the app, you get an idea about the performance of the app. 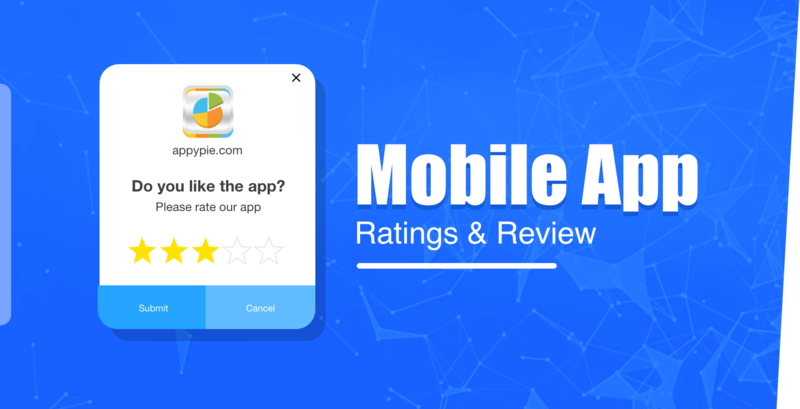 If the time spent on the app is on the higher side, it indicates that the app is performing well and that it is being preferred by the app users. On the flip side, users may be spending more time on your app because the app takes forever to load and that is definitely not a good sign. So, in addition to looking at the time spent on the app, it is important that you take a look at what the app users are doing while they are spending all that time on the app. This is the time period between the moment when a user opens the app and when they leave it. App analytics, when implemented the right way would let you track the number and increase in user sessions. If the flow of this frequency is low, it is a sign that either the app content or its architecture has some snag or flaw in it.